Once again we will have the opportunity to bless others during this Christmas season. The Giving Tree is up in Westminster Hall and has been filled with ornaments detailing a wish from one of our mission partners. This year there are gifts for God’s Co-op Pantry clients, Homeless Solutions, IHN and women of the Bo Robinson Transitional Center. Please take an ornament (or two!) and purchase the item listed and return to the Church Office or the tree by December 9th. This deadline ensures that all gifts are distributed to the recipients prior to Christmas. Thank you for your support of this incredibly meaningful ministry. 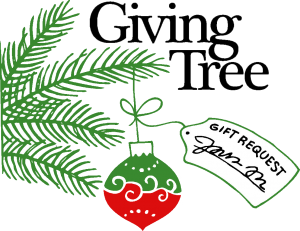 This year we have many requests for gift cards and ask that these be dropped off to the Church Office or given to Maureen Paterson after worship.